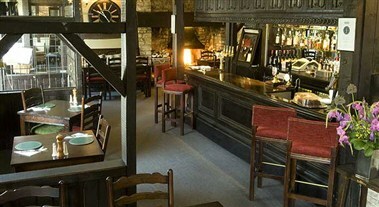 The Castle Inn is located in a wooded Cotswold valley, with the ambling Bybrook River flowing through its heart. 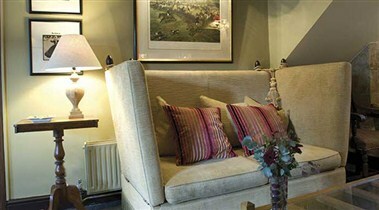 Castle Combe is a truly delightful example of the traditional English village. Architecturally, little has changed since the 15th century. There are no street lights or TV aerials. 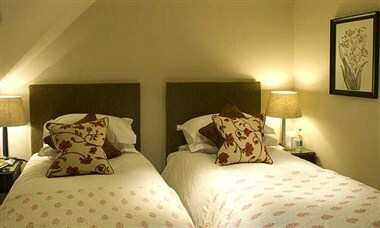 The hotel has eleven en suite bedrooms, all tastefully furnished using sumptuous fabrics along with a calming color palette, and each unique in character. 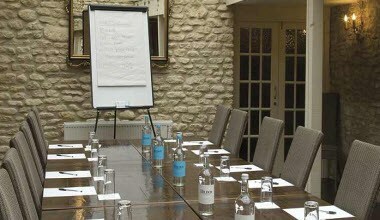 The Conservatory at The Castle Inn Hotel is the perfect place for a private function or small business conference. 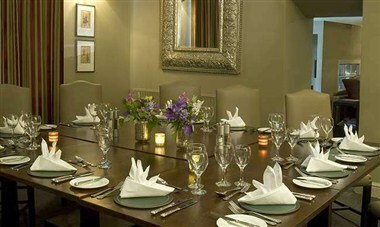 It is able to accommodate 32 guests for a formal or informal meal.